MNA’s approach to advocacy is multi-faceted. It encompasses lobbying, creating cohesive support initiatives, developing collaborative relationships with stakeholders, and utilizing the Mississippi Nurses’ Association Political Action Committee (PAC) to pursue the election of candidates for state office who will support the nursing profession. We provide vital representation within the Mississippi Legislature and the U.S. Congress with a focus on shaping public policy. 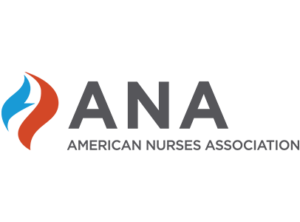 In the highly regulated and ever-evolving healthcare arena, MNA serves as the voice for all registered nurses and advanced practice registered nurses with a commitment to ensuring that the nursing profession has a seat at the table when legislation and health policy are being considered by policy makers. It’s imperative for nurses to be well-informed on legislative issues and for elected officials to hear from the nursing profession. MNA hosts an annual Legislative Nursing Summit and Lobby Day at the Capitol to encourage nurses to become active in the legislative process. The Legislative Nursing Summit started in 1993 with the primary purpose of discussing emerging issues and a legislative agenda that places nurses in a pivotal role as ‘players’ in healthcare in Mississippi. Lobby Day also provides an opportunity for nurses and nursing students to interact with our elected officials and demonstrates the power of nursing. Participation in the political process is vital – Together we can speak with one strong voice.